Reply addressed directly to Mrs Murdoch at Rosebank. Mrs Murdoch and her husband, the former Provost of Glasgow, have just visited Cullen, who took her pulse. 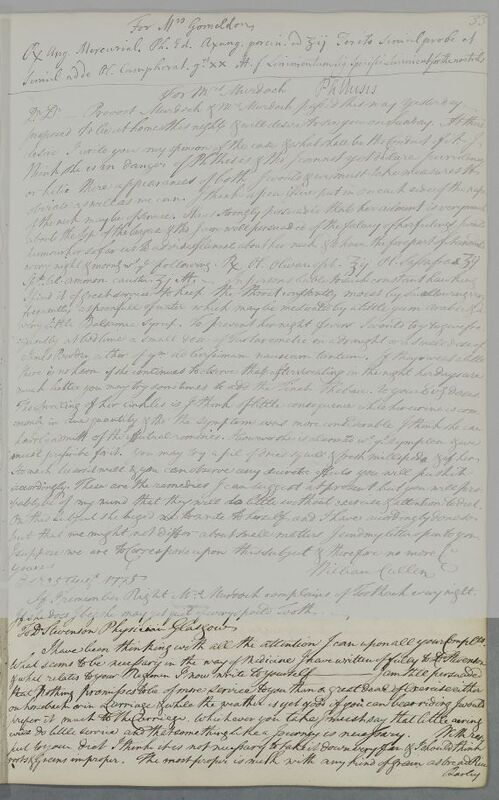 The related letter to their Glasgow physician, Dr Alexander Stevenson, to which Cullen refers here, is ID:326. Summary Reply addressed directly to Mrs Murdoch at Rosebank. Mrs Murdoch and her husband, the former Provost of Glasgow, have just visited Cullen, who took her pulse. 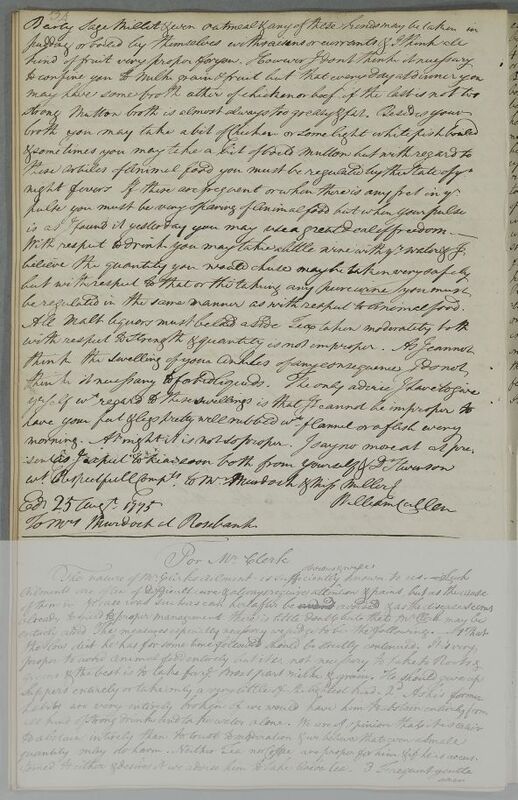 The related letter to their Glasgow physician, Dr Alexander Stevenson, to which Cullen refers here, is ID:326. Case of Mrs Murdoch at Rosebank, who is given a regimen after seeing Cullen in person; swollen ankles not considered serious, but has consumption; also needs some teeth extracting. I have been thinking with all the attention I can upon all your Complaints. be regulated in the same manner as with respect to animal food. I have been thinking with all the attention I can upon all your Compl.ts.